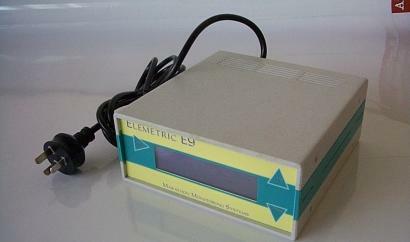 Measure the Electrical Characteristics of any 240 volt, 10 amp Appliance! Easy to use push button menu operation on stylish case. Based on microprocessor technology with a large character 16 x 2 LCD display. User selected logging time scale ranging from 15 minutes to 24 hours. Internal logging of the energy, average power, and the minimum and maximum active power for each time period. Values can be scrolled through. 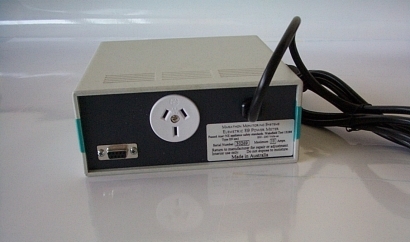 Built-in D-9 connector for external logging of pulse output for energy consumption, cable included. Uses standard 3-pin plug and power socket. No adaptors required. Up to 10 amps load current at 240 volts AC. Battery backup for security of logged values.